Are home protests an effective expression of free speech  or neighborhood harassment? Where does free speech run afoul of the right to privacy? In recent months, protests have moved from the street and the courthouse to local churches and homes, and have many asking that exact question. Some call the tactic “offensive,” while others say it is protected speech, and the only solace activists can find when all other attempts have been exhausted. Now the Citizen Police Review Board may ask Pittsburgh City Council to make it illegal in Pittsburgh. At issue is whether protesting at a person’s home or place of worship approaches harassment. Current statutes would seem to be in the protesters’ favor, but some recent actions have provoked public ire against the demonstrations. “There are plenty of other places a group can take their protest,” she says. Pittinger and a CPRB intern, also a law student, dug through state and federal statues and court decisions to create a report on the issue. The report, which will be submitted to the full board after members return from hiatus in September, recommends that focused pickets at dwellings be prohibited. If the board approves it, they’ll submit it to city council, which could make legislation based on the report. “I’m suggesting that they should respect privacy, the traditions of home being a safe haven,” Pittinger says. She says that home or church protests take a person’s public actions and public life, for which they should be held accountable in the same, public arena, and make them private and personal. The CPRB became interested in home demonstrations after the Pittsburgh Organizing Group picketed outside the home of Pittsburgh Police Sgt. William Vollberg. POG’s action was in response to Vollberg’s behavior at an April 3 anti-recruitment demonstration in Shadyside, where POG says Vollberg assaulted one of its members for taking pictures. A full investigation of that incident is underway by the CPRB. While home protests are generally a means of last resort, Bradley says, they have historical precedent — English suffragettes, for example, throwing acid on the lawns of those who would deny their right to vote. Another local group, Voices For Animals, has become a talk-radio whipping boy after they picketed outside county chief executive Dan Onorato’s church on July 22. The group had been working with county parks officials on the problem of North Park’s large population of geese, whose vigorous pooping was creating a disgusting and possibly unhealthy situation at the park. The activists were promised by Allegheny County Parks director Andrew Baechle that the park would try their proposed nonlethal methods — like using border collies to chase geese away, and interfering with the development of goose eggs, methods that have proven quite effective in other parks around the country — to thin the flock. But after the group became confident the geese would merely be bothered and not slaughtered, the park ultimately killed 272 geese. A week later, before Sunday Mass, about 25 people stood outside St. Cyril of Alexandria Church, in Brighton Heights, handing out leaflets about non-lethal goose management and explaining the double-cross they say they suffered. 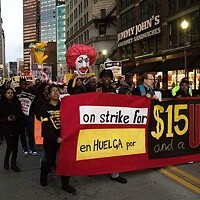 “It was a very respectful, peaceful protest,” says VFA’s Rebecca Reid. 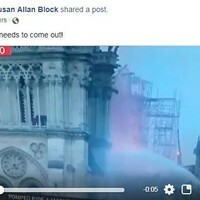 “Most people going in understood that they weren’t being targeted.” The group chose to protest at the church — even though they knew Onorato himself was out of the country at the time — because it seemed symbolically appropriate for the ethical lapse they say they were pointing out. VFA has protested at the homes of targets in the past including restaurant owners who have offered foie gras on their menus. Those cases, says Reid, were last-ditch efforts to communicate when letters and phone calls requesting meetings were ignored. Particularly in the case of the church protest, however, the issue arises of whether the means will overshadow the message: Will people remember that that promised, effective and non-lethal methods of dealing with problem geese were ignored in favor of mass killing — or will they simply recall that the group interacted with people at their place of worship? “It’s a fine line, I’ll tell you, but we have to get the issue out there,” says VFA’s Reid. “I thought we’d get more flak than we did. We’ve got a lot of people who contacted us who didn’t understand and wanted to enter into a dialogue.” She says that the publicity surrounding the protest has gotten word about the issue out, which is most important. 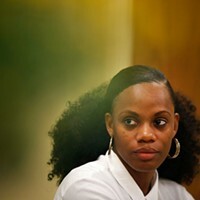 “There’s a difference between harassment and accountability,” says POG’s Bradley. With Vollberg, the police officer, says Bradly, the group was frustrated by a sense that his actions would have no repercussions, so they decided to create them. Prohibitions on protest locations are generally on constitutionally shaky ground, contends Penn State professor and co-director of the Pennsylvania Center for the First Amendment at Penn State University Robert Richards. “Generally speaking, public sidewalks surrounding buildings and residences are considered public forums, and people have a right to engage in expressive activities in those areas,” Richards wrote in an e-mail. Blocking entrances or stepping onto public property could lead to citations, he says, and some residential communities may have noise ordinances that protesters could run afoul of. 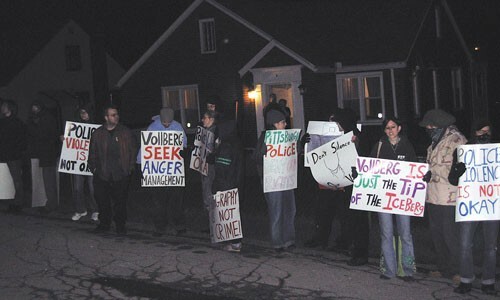 Ironically, at the Vollberg protest, police herded demonstrators from in front of Vollberg’s Versailles home onto the sidewalk of one of his neighbors, POG members say. Richards cites recent efforts to block protests at military funerals, designed in response to a specific group that targets such funerals to propagate anti-gay rhetoric. “Although most people think poorly of this group that interrupts military funerals, these laws are suspect in terms of the First Amendment,” Richards writes.